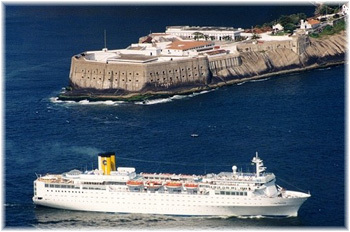 Over the past forty years there have been two cruise line tag lines that have held out well and are remembered. One is Carnival’s “The Fun Ships” and the other is Princess Cruises’ “The Love Boat.” Everyone else has just been trying. Last week, however, Royal Caribbean revealed their latest “The Sea is Calling. Answer it Royally.” This week, we have a look at some cruise line tag lines past and present. Down under, Princess Cruises has had such success with operating two world cruises from Australia that in 2013 it will operate three such sailings on the sister ships Sea Princess, Dawn Princess and Sun Princess. And the Costa Marina goes to new South Korean owners. She arrives in Pusan on Thursday and is setto start cruising next month under the new name of Harmony Princess. This is very interesting when in recent years the line has been emphasising its rock climbing walls, ice-skating rinks and various and sundry other onboard attractions, more recently even including Shrek on some of its ships! Now, someone has woken up and noticed that cruise ships sail on the sea. Not only that, but it took not just one, but two advertising agencies to recognise this! But such is progress. So this week we have a look at some of the slogans that have been used over the years since cruising started its four-decades-long boom. Perhaps the best ever was Cunard Line’s in the 1950s and 1960s – “Getting There is Half the Fun” really said it all. Later this line metamorphosised into “Ships Have Been Boring Long Enough” but with the former accentuating the positive and the latter the negative we know which wins! “The Fun Ships” – in the Miami-based context, this little slogan was first used by Yarmouth Cruise Lines, operating a decrepit pair of 38-year old ex-coastal liners between Miamia and the Bahamas – one of which, the Yarmouth Castle, was lost to fire in November 1965 with the loss of 87 lives. Nonetheless, it was enough years later that Bob Dickinson of Carnival Cruise Lines revived “The Fun Ships” in 1973 to replace “The Golden Fleet” that no one remembered the tragedy and the tag line is Carnival’s to this day. Anyway, the “Golden Fleet” in 1973 had only one ship, the Mardi Gras. Over the years, Carnival has also played with other tag lines, one being “The Most Popular Cruise Line in the World.” Carnival have also used music in its television commercials, as it did in 2005 with Bobby Darrin’s “Somewhere Beyond the Sea,” but why beyond the sea and not on it? Speaking of love, “The Love Boat” was the name of a well-known American television program that ran from 1977 to 1986, but it was also used for many years by Princess Cruises as its own tag line. After all, their Los Angeles-based Pacific Princess was used as the backdrop for this series. Today, Princess uses the tag line “Escape Completely,” but I must say, like “Get Out There,” this one sounds rather American footballish and reminds me more of trying to escape Alcatraz rather than anything in the least bit romantic. “Get Out There” – now who did we say wanted to connect with the sea? This preposterous line – get out where? – was used by Royal Caribbean, luckily for us only in the United States, and it meant absolutely nothing if not read in context. It might have been the Romans telling the Christians to go and meet the lions. Far too macho, so perhaps “The Sea is Calling. Answer it Royally” will work. “Let Us Exceed Your Expectations” was an early tag line for Celebrity Cruises and one that was befitting of their target, which was an upper premium audience. It reflected the whole reason for having formed Celebrity Cruises in the first place, getting away from the old name of Chandris, one that dated back to Australian emigration days from Europe. What was the matter with exceeding expectations? Could it no longer be done? It was a good tag line. Okay we all know that Norwegian’s new advertising company would like us to call it Norwegian instead of NCL, but just how does one cruise like a Norwegian? It sounds like a lazy adman’s copy of dance like an Egyptian, and no one really knew what that meant either..
One of my favourites, however (tongue in cheek here), is the line Windstar Cruises used for many years, “A Holland America Line company.” Well, at least it wasn’t too vague. Do you get my drift? Does it really matter? Why do the cruise lines pay millions for these not so impressive sayings that are only replaced after a few years by paying someone else to come up with another one. They are just clutter and end up like bell-bottomed trousers, paisley ties, mini skirts and lacy blouses – very dated after a while. But naughtiest of all is Quark Expeditions, who have just scooped up “Up Close and Personal” word for word from the now defunct Cruise West. I suppose they can’t be sued for infringement by a bankrupt company but it sounds awfully risky to me, sort of like tempting the fates. What is most interesting however is that the more upmarket lines do better – Oceania’s “Your World, Your Way” puts the control with you and Azamara Club Cruises “You’ll Love Where We Take You” not only sounds like good English, but also revives the word love in a different way. Even SeaDream’s “It’s Yachting, not Cruising,” while unfortunately using a negative, has a ring to it that is true. 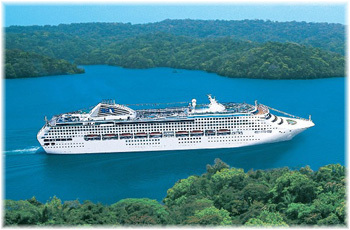 Princess Cruises will offer a record three world cruises depart from Australian shores in 2013. The 77,000-ton 2,016-berth Sea Princess will remain in Australian waters over the winter of 2012-13, sailing alongside sister ships Sun Princess and Dawn Princess to offer Australians three round trip world cruise options, ranging from 75 to 104 days. A new 90-day “Grand Europe” World Cruise on Dawn Princess taking Australians to the continent during the Northern Hemisphere summer. Destinations include Venice, Rome, Florence and the Greek Isles as well as a visit to Turkey’s Anzac Cove, departing Sydney on July 13. Sea Princess’s first World Cruise – a 104 night round voyage visiting forty-three destinations including exotic ports of Northern Europe and a cruise by Anzac Cove, departing Sydney on May 20. 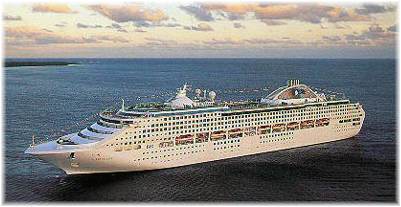 A 75-day “Grand Pacific” World Cruise on Sun Princess visiting thirty-one destinations around the Pacific Rim, from Alaska and San Francisco to Beijing and Osaka, departing Sydney on April 26. The move to three world cruises reflects the popularity of longer voyages from Australia. Princess Cruises pioneered the annual world cruise itinerary in 2008 and extended to two world cruises in 2012 in response to demand. The Sea Princess, Sun Princess and Dawn Princess are all now tailored to the local Australian market, with cuisine and entertainment reflecting local tastes. All three also feature the Australian dollar on board, and no tipping is required. News broke last week that Costa Cruises has bareboat chartered its 772-berth Costa Marina (over 1,000 passengers when all berths are filled) for three years to South Korean operator Harmony Cruises, which will use her in the local cruise market under the name Harmony Princess. We wonder how long it will take Princess Cruises’ lawyers to chase after this new line for an infringement? To be registered in the Marshall Islands, the Harmony Princess will be managed by Polaris Shipping. She is due into Pusan this Thursday and is to enter service next March. Based in Seoul, Polaris Shipping presently operates a fleet of bulk carriers that numbers thirteen owned ships and three that are managed, ranging up to 325,000 tons, plus one container ship, and hauls large quantities of iron ore in bulk for the likes of local steel giant Posco and Brazilian iron ore producer Vale. It will be interesting to see how a sole passenger ship will fit into a fleet of very large ore carriers and bulk carriers.